I woke up in a very bad mood. The realities of reality were weighing on me. A beloved member of the PC(USA) community died yesterday, suddenly, too young…leaving a void in the lives of many. Facebook was full of memorials for her, which were beautiful, but heartbreaking. Much more trivial, but also much more close to home, the schedule of two working parents with crazy schedules and crazy children was wearing me down. I was angry at our situation. I was angry at residency. I was angry with our preschool because of their (very logical) 24 hour fever rule. Caleb had a very low grade fever yesterday afternoon, so we had to pick him up early and wouldn’t be able to take him to school today. And of course, I’m the one who has to take the day off because Russ is a slave to residency. Normally this is a hassle, but totally doable for me, but I had an important meeting this morning, so I was bitter. I hate to miss this monthly meeting of the COM (the Presbyterian church’s committee on ministry – the group which Russ and I lovingly call the Jedi Council). I am the only female clergy on the committee and the only member under 40 (maybe even under 50), so I feel responsibility to my generation and my lady pastors to REPRESENT. Plus, I take the minutes…and when you miss one of these meetings, you miss A LOT of scandalous details…selfishly, I like being “in the know”. AND not being able to take him to school would mean that I wouldn’t get to go to the gym between work and picking them up. I’ve been going for the last week almost everyday and I’m enjoying the “me-time” right much. Plus I just went to the doctor and discovered that my cholesterol is approaching dangerously high, so I am attempting to bring it down without medication. So…my day was “ruined” – and I was grumpy. But then I decided chocolate usually helps…so not-sick Caleb and I went for a Doughnut date…which was definitely a step in the right direction…you know when you can’t work out, you may as well eat a doughnut. 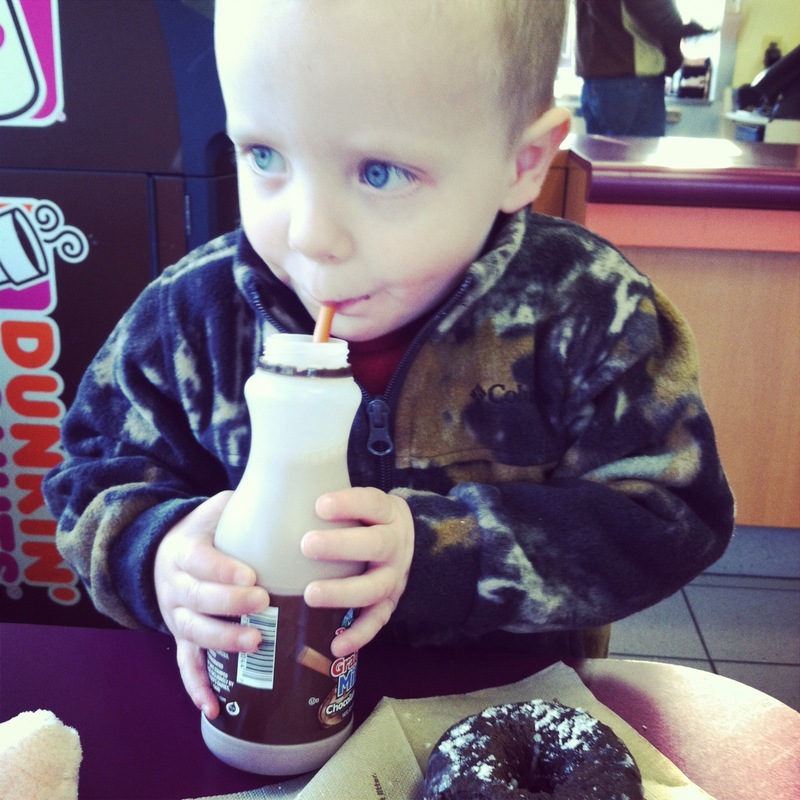 Then while we were sitting there, I got this crazy idea that he could go with me to my meeting…which is truly insane considering he is a two year-old boy who rarely sits still AND I just gave him chocolate milk and a chocolate doughnut to ensure my demise. But despite my better judgement, we went home quickly and gathered up some puzzles and the iPad and headed to the meeting. Much to my relief, we were greeted with lots of smiles and high-fives as we entered. I set him up in a little office adjacent to our meeting room with some Disney Junior, and we went about the business of the meeting. Aside from a few very quiet interruptions to tell me he broke the iPad (which he didn’t) or pooped in his underwear (which he did), he was super quiet for an hour and a half. Then he spent the next hour in my lap quietly doing puzzles and playing with my earrings. I was somehow still able to take the minutes of the meeting while helping him with his puzzles and periodically saying shh! when his Darth Vader type breathing got a little loud. It was amazing. I couldn’t believe how good he was. And that did it. I couldn’t be grumpy any more. Today proved to be a gift, despite my best efforts at ruining it. Grateful for this boy and for an unexpected day with him. Just read this, and I love it. 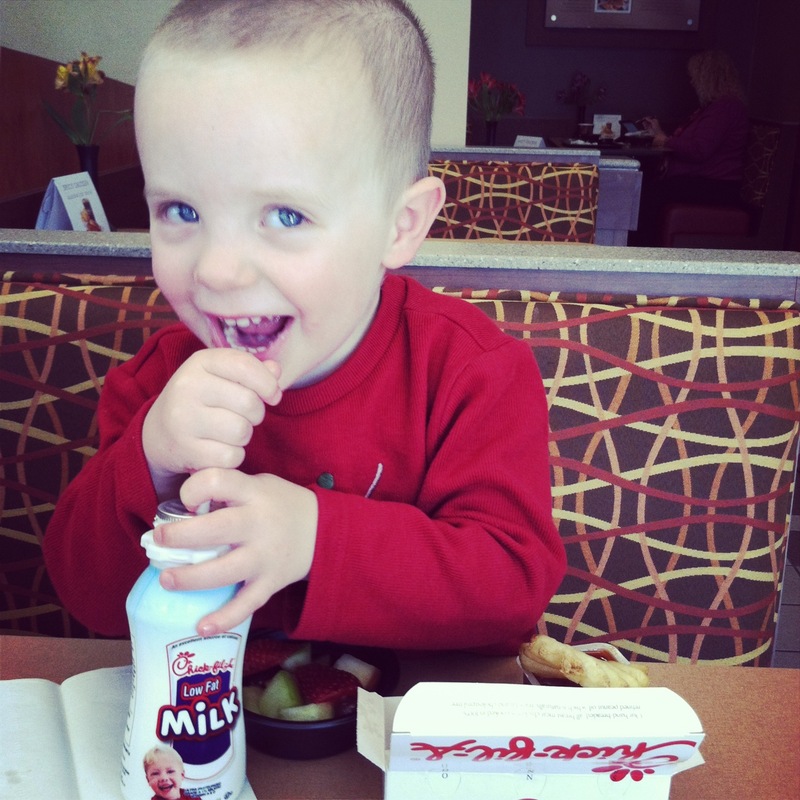 Two-year-olds are a gift….who sometimes make it hard to remember what a gift they are and other times surprise us.